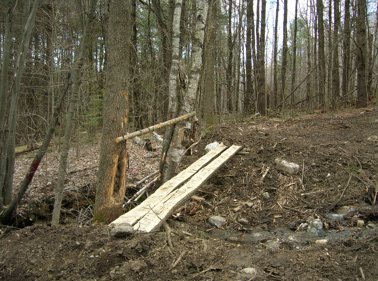 Photo 1: Rustic footbridge installed at stream crossing. Photo 2: Installing good waterbars on existing road to prevent further erosion. 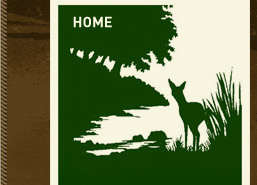 Everybody likes to be able to access their land for recreation. 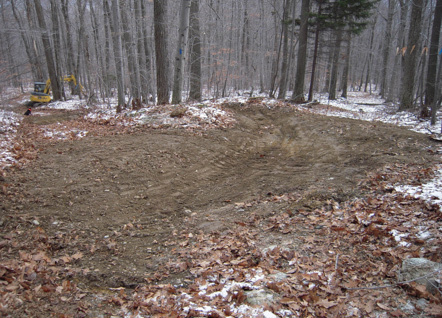 From single track hiking trails to gravel based roads for vehicle access we can help you layout, plan and install trails and roads. 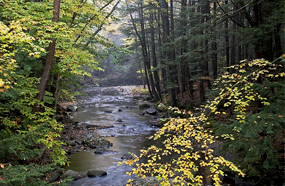 For some landowners the challenges may be to maintain or upgrade existing trail networks. Calfee Woodland Management can design a road or trail network for your property and oversee the construction of the network. This network can be used to access the property for management activities such as logging or firewood removal or for recreation such as walking or snowmobiling. Reliable access to your land allows you to get the most out of your property and at the same time increases its value.